Apple products are without a doubt the most popular ones these days. There is hardly any person that has never heard about it. The most popular Apple product is iPhone. You can find lots and lots of articles that describe new models of iPhone from almost every perspective. However, not all its users know about features that are hiding within it. 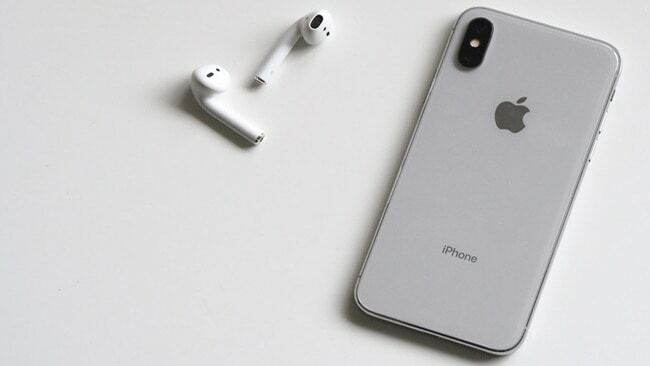 If you are also an iPhone user and want to get the maximum level of performance out of it, this list of ten secret iPhone features is just for you! If you are using iOS 8.3, you should know that this version has more emojis than you can actually see. To get access to the full list, you will have to press the chosen emoji and hold your finger on it for a few seconds. Imagine that you have $100 and you want to know how much that would be in Euros. Well, now you will not have to look it up online, you can use the Spotlight search that is already built in your iPhone. Just type ‘$100’ and your iPhone will understand your request right away, showing you exchange currency rates. Convenient, isn’t it? It often happens that users accidentally close important tabs in the Safari browser. Now you will not have to search for that same page all over again, it will be enough to just press the ‘+’ button at the end of the page and hold it for a few seconds. You will be suggested with a list of all tabs you opened up recently. Imagine that you want to create your own website blog. It is obvious that you will have to adapt it to the mobile devices for readers’ convenience. With this feature from Safari browser, you will know exactly how your blog will look after the adaptation process, whether there are any bugs that should be fixed. The activation process for this feature is quite simple. Just make a long tap on a sign in the left upper corner of the screen and choose one of the options, depending on whether you want to use this feature just on one website or all of them. Since 2013, every iPhone allows its user to save their fingerprints, and since 2015 they have a second-generation Touch ID which makes the fingerprints recognition faster than ever. Sure, you can save prints from thumbs on every hand; however, sometimes your iPhone will not be able to perfectly read those. What could be done in that situation? Well, you can save up to five fingerprints. Even if your hand are wet or dirty, surely at least one of the five fingerprints will work. Did you know that you could cancel your last action on your iPhone by simply shaking it? All latest models have it and it definitely sounds like something really useful. This feature works in all applications where you have to type in some text. Whenever your battery’s percentage goes below 20%, your iPhone automatically turns on the power save mode. Sure, it will work slower, but the battery will last longer and in some cases that is crucial. However, when you phone is fully charged this function automatically turns off. So when you see the notification, press on it and turn it back on. Did you know that your iPhone is being tracked by Apple to ensure that they receive notifications about all malfunctions? In some way that is a good thing. However, that is definitely not good for your battery. So if you want it to last longer, turn this feature off in Settings. Your iPhone allows you to set up different vibrations for different callers and types of messages. Go to settings and set them up. From now on, you will know about every notification without even turning the sound on. This is very easy to do even when you are just creating a new contact. You will be suggested to set up a vibration signal for this person, so you can know who’s calling by the way your iPhone is buzzing in your pocket. Yes, your device has that as well. To get access to it, you will have to launch your Compass application and swipe to the left. Here you go, now you can find out how flat surfaces are. IPhones are amazing devices that are totally worth having. The confirmation to this statement would be hundreds of thousands of their owners. This list of 10 secret features is only the tip of the iceberg of all other wonderful apps that Apple can offer to its users. So do not hesitate to discover them on your own, maybe you will even be the first one who actually notices them!